Joy Factor is a Joytv.ca feature that celebrates moments that will bring a smile to your face! Be it an uplifting news item, a funny viral video, or an instance where good emerges out of bad situation, Joy Factor strives to shine a light on the best this world has to offer. As we age, our bodies can slow down and make previously easy, day-to-day tasks much more difficult than they used to be. Sadly, for some, walking across the street eventually becomes one of those tasks that get tougher to complete. 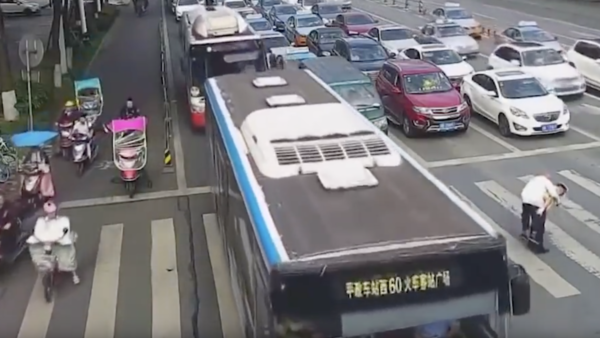 Recently, video has emerged of a senior citizen in China’s Mianyang, Sichuan province struggling to cross the road, as other pedestrians whiz ahead of him. With canes in both hands, the anonymous man only manages to get past one lane of traffic before the light changes. With seven more lanes to go and vehicles ready to start moving forward, heroic traffic officer, Qin Weijie, approaches the man to lend a hand. 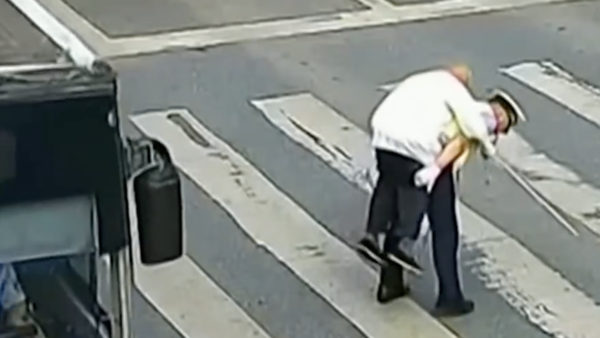 After offering assistance, Weijie piggybacks the individual and carries him through the crosswalk as the vehicles get going. In the video below, you can see this true act of kindness unfold from a number of different angles. It sure is nice to see people like this in the world! This entry was posted in Articles and tagged Acts of Kindness, China, Good Samaritan, Joy Factor, Senior Citizen, Wellness. Bookmark the permalink.